Offering gifts is a symbol of carrying, appreciation, as well as good intentions. It’s a great way to show your feelings, to strengthen relationships and friendships. Offering and receiving a present has to be a pleasant feeling from both sides: the giver and the recipient. 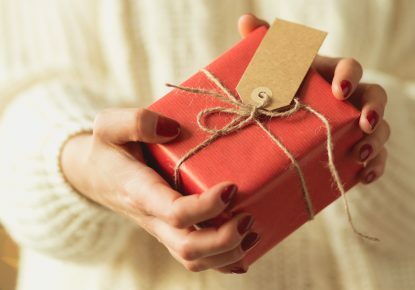 The first thing to take into consideration when buying a present is what the recipient and not what the giver likes. Secondly, remember that often times the cost of the gift does not reflect the level of appreciation. The level of appreciation should be measured by the intentions of the giver. Friends are people who have a special place in your life. Buying a gift for a friend has to be meaningful and to express appreciation of your friendship. Buy a gift to show your feelings for your friendship! A small token of appreciation offered to a friend for a birthday or any other occasion shows respect and cares for that person. Buying a gift for a friend is ultimately about the thought behind the present and not about the cost of the present. A simple card with a handwritten note of gratitude, a phone call on his/her birthday (not just a text message or, even worse, a post on Facebook) are always highly appreciated. Always offer a gift to your friend with a smile and a warm hug followed by sincere compliments.